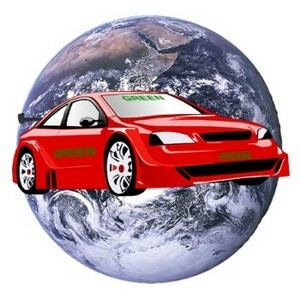 If you own a car, you may not think of it as a creative means to be a bit more green. And to be honest, the best way to make your car green is to not drive it. Instead take the bus or other forms of public transportation. Or better yet, walk or ride a bike. However, if you are in a situation where a car is needed, then there are a few unusual ways to tweak it a bit and get a few green benefits. We have a few listed here to get you started, but with a little creativity you may think of even more ways to wring out a green benefit or two. If you do have to go, then plan ahead for a nice hot meal on your return. Cooking with your car (or at least with its hot engine) could probably be described as slower than a microwave, but faster than a slow cooker. You will want to wrap up your food (burrito, anyone) nice and tight in aluminum foil, and find a good spot on the engine block that is away from plastic and still quite accessible for retrieval later. Be sure not to mess with anything important in your engine compartment, including details like ignition wires and accelerator linkage. Also try to use a clean spot on the block away from any potential leaks or foreign crud – you don’t want something from the engine adding an unwanted spice to your food. Of course you will want to use tongs or other implements to get the hot pocket of food out, and you will have to watch for a hot engine. And by all means make sure the engine is off when picking up your dinner. Driving just to cook the food is probably one of the most expensive cooking methods I can think of, but a necessary trip could yield some nice fringe benefits here. And if you want to make it a habit, you can even find a cookbook dedicated to the topic of cooking on your car engine. Since one of the most green things you can do with a car is to leave it parked until absolutely needed, consider putting it to use as is. On a hot sunny day a closed car interior can reach 133 degrees plus in only an hour, plenty hot enough to dry out a load of laundry or two. All you have to do is to place the damp clothes in the interior and let it steam. You save the energy from the dryer, and it is much faster than using a clothes line. A car’s electrical system is not that efficient. That is, the alternator/charger creates more power than the vehicle uses. This is how you can power your iPod and charge your phone while you drive without it costing you more. We can take this one step further and use the wasted energy to charge up some batteries for use later. The easiest way is to use a home charger along with some rechargeable batteries, and plug into a power converter hooked to your car power outlet. This allows you the maximum convenience, and you can make use of the charger in other places later. The increase in fuel will be negligible, but you will have a nice set of charged batteries to power your Wii controller later. Did you know you can even use a car trunk as a handy mobile greenhouse to grow plants in? However, we suggest that you do not follow the lead of one David Herman of Glenville, Minnesota. Mr. Herman had set up a complete mini greenhouse in his car trunk, for the exact purpose of growing marijuana. The rig even had working fans and fluorescent lights, all using that wasted energy we mentioned earlier. While it was indeed a creative and very green use for a car, you might want to error on the side of caution and avoid anything illegal. So there you have it — a few creative ways to live a little greener with the help of your car. What are some more ways you can think of to maximize its green appeal, and have fun with it? Of course, try to remember that not driving at all until absolutely needed is probably the best single green action you can do. Here are some other green travel ideas to help you roll in eco-friendly style. I’m a freelance writer and social media consultant for several companies, ranging from individuals to Fortune 500. I’m a bit of a geek and I enjoy writing for TestFreaks.